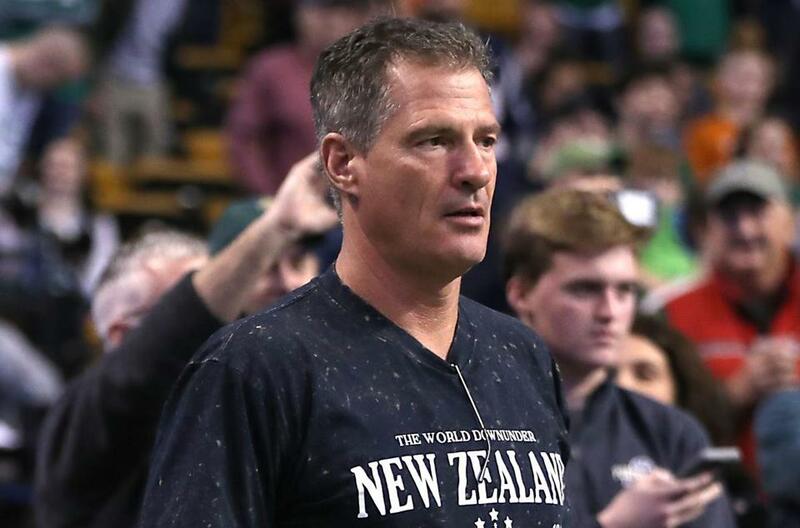 Ambassador Scott Brown at a Celtics game earlier this year. United States Ambassador Scott Brown, long known as a rock ’n’ roll and fitness buff, could be headed to Switzerland next summer to test his chops as a triathlete on the world stage. Brown, 59, a former Republican senator from Massachusetts, shared the news in a weekend Twitter post from New Zealand. The ITU World Triathlon Grand Final is scheduled to run from Aug. 29 to Sept. 1 in Lausanne, Switzerland, according to the event’s official website. While Brown may not be joining the elite triathlon tier in Switzerland, he has rubbed elbows with at least one champion endurance athlete. In 2011, he and then-Senator John Kerry rode with cycling legend Lance Armstrong in the Pan-Massachusetts Challenge to raise money for cancer research. The trio cycled 111 miles from Sturbridge to Bourne. Brown was training for his first triathlon at the time and told the Globe, “Every water stop, we spent a good 10, 15 minutes at each one.” Brown said he was riding in the Pan-Mass. Challenge for the late Salem District Court Judge Samuel Zoll, who had succumbed to cancer earlier that year. In an e-mail message Wednesday, Brown said he was still sore from the race last weekend in Tauranga.